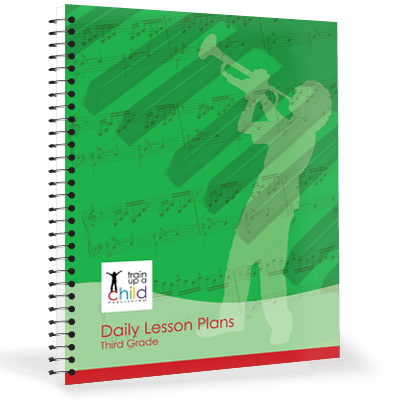 You can stop worrying whether you’re covering enough with our Middle School Daily Lesson Plans. With our open and go middle school daily lesson plans you’ll study history, science, language arts and fine arts together, organized within the framework of nine historical units covering from Creation to Modern. 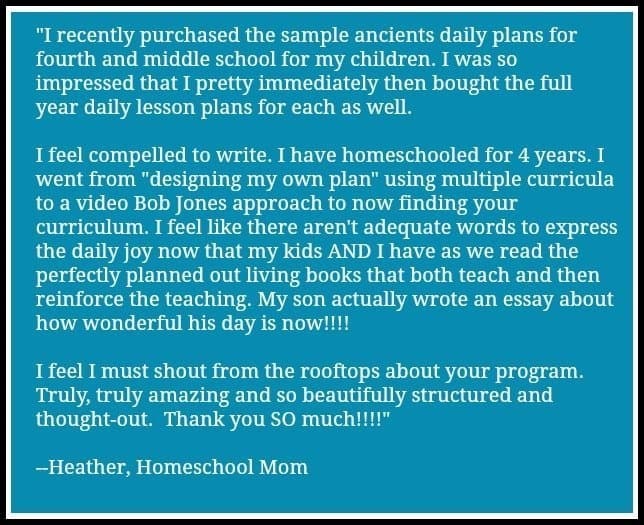 Our structured Middle School Daily Lesson Plans offer you an easy to follow, clear and organized detailed daily plan for study using real, living books available from your public or church library or online at Amazon.com. 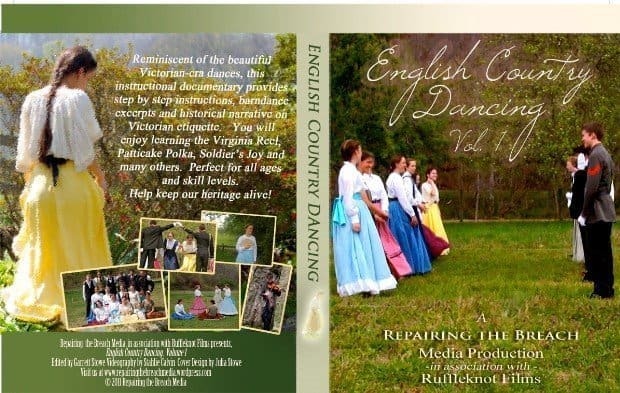 See the books we recommend in our middle school daily lesson plans here. 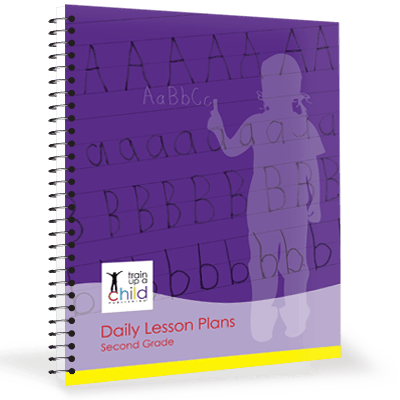 View a one week sample of our Middle School-1 Daily Lesson Plans. 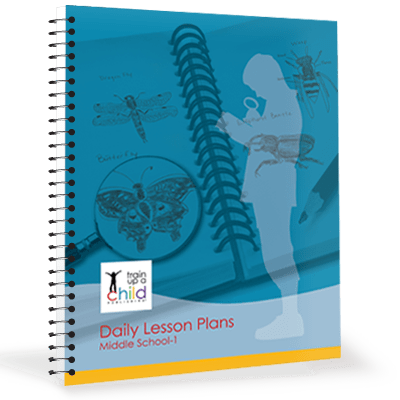 Click to see the Scope and Sequence of our Middle School-1 Daily Lesson Plans. The Middle School Daily Lesson Plans were just what I needed for my daughter when we began middle school a few years back. My daughter loves to read books, good books, and many books, so this curriculum was the answer to my struggle with finding just the right curriculum for her. The whole year was planned out for the study of history, geography, language arts, science, fine arts, etc., all centered around the reading of wonderful books from ancient to modern times. I did, however, utilize a different science curriculum throughout the year because we were already using it prior to ordering this curriculum. I also needed to choose my own math and foreign language curricula, because the plans did not cover those subjects. All I needed to do was to make sure I had the books to read on hand. This also allowed for my daughter to use some self initiative and look at the schedule and start her studies for the day without me having to tell her what was expected. 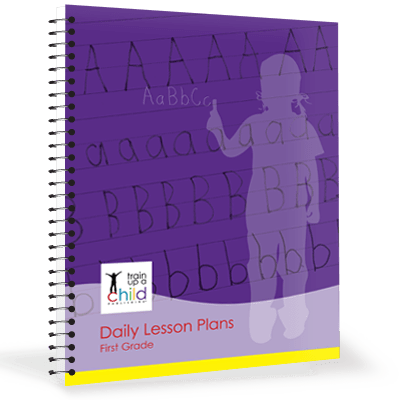 The daily lesson plans offered a host of hands-on projects, writing assignments, and activities that appealed to my daughter, and I also had the liberty to change or adapt any of them to fit my daughter’s learning style. We had a great year that year and I had less stress because I knew that I was covering the subjects that I needed to cover. I would buy the daily lesson plans again in a heartbeat!